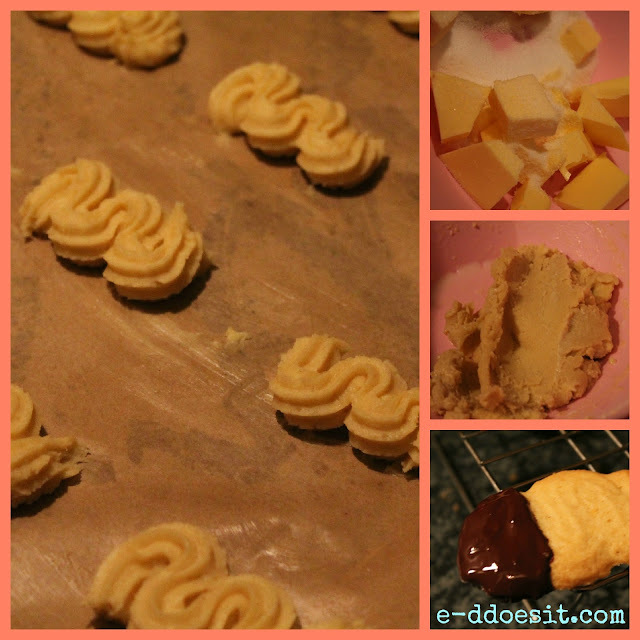 I'm feeling very productive today and after a busy evening, decided to keep my baking themed week going my whipping up a batch of Viennese biscuits before bedtime. 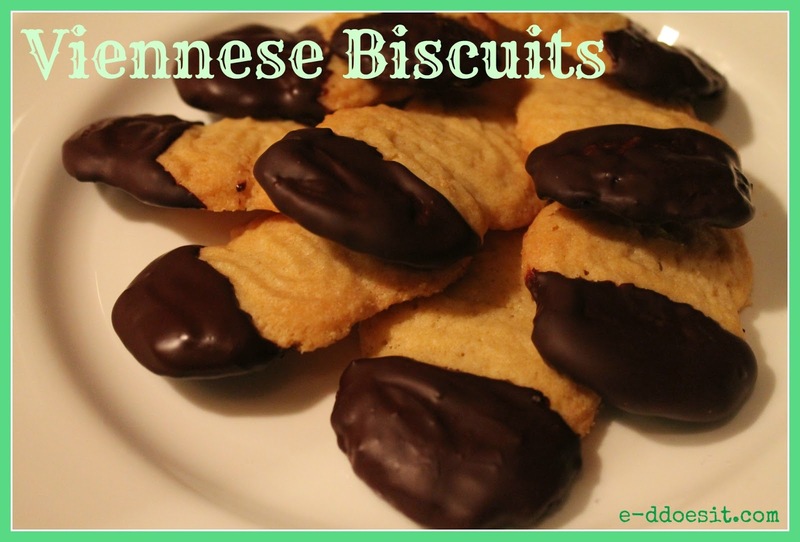 I've churned out many biscuits over the last few months but these are a definite winner. Molly has always loved these biscuits and will often buy them in Marks & Spencer's. Following the taste test, he has given me the thumbs up so I know the recipe is good to go! These biscuits which originate from Austria are incredibly light and crisp and are perfect with a cup of tea or strong coffee. 1. Line and grease two baking trays. Preheat the oven to 140C. 2. Cream the butter and sugar together until pale and thick. a time until the mixture is a soft consistency suitable for piping. 5. Bake for 20 minutes or until golden. Then place on a wire rack to cool. into the chocolate and then return to the wire rack to cool. - These biscuits are just beautiful, really light and sweet in contrast to heavy buttery shortbread. chocolate, orange chocolate or even mint! ).